This versatile little necklace features another of my floral tube beads created in sterling silver. This bead measures just over 5/16" in diameter and 3/16" in width. It has a patina finish to enhance the details of the bead design. 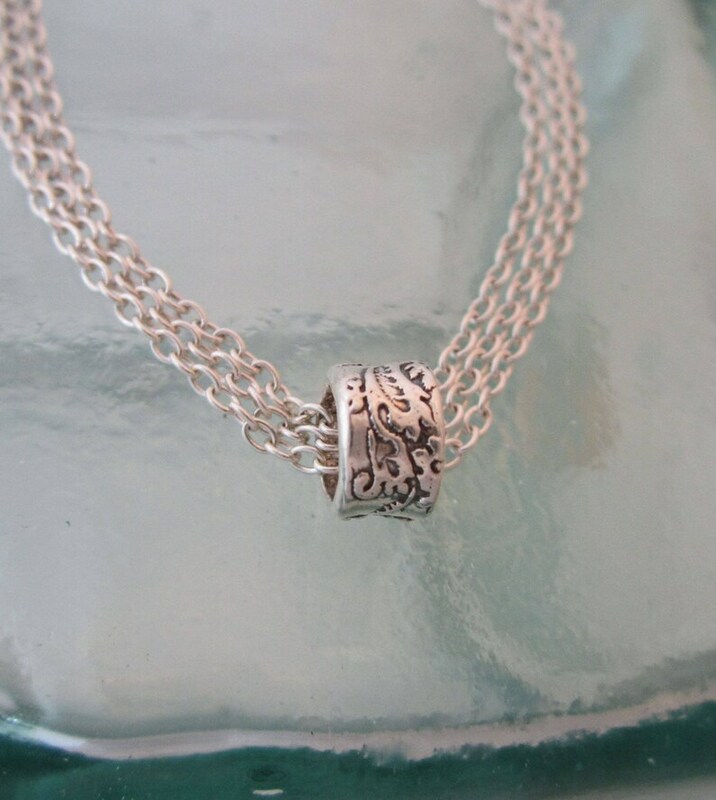 The bead hangs freely on a section of triple, small link sterling cable chain before transitioning to a larger link single cable chain which is joined by a wire wrapped section with gold-filled beads, giving you a mixed metal silver and gold necklace. This necklace is meant to be worn short and is great for layering. It measures approx 15 1/2" long and may be worn slightly shorter by hooking the lobster clasp into any of the chain links. If you prefer this necklace a little longer, please contact me and I am happy to discuss your options with you.